LEXINGTON, Ky. (Aug. 11, 2011) – University of Kentucky men’s basketball coach John Calipari today announced a new initiative to bring financial literacy education to children across the state of Kentucky. The Calipari Family Foundation for Children will partner with local banks and EverFi, Inc. to provide the VaultTM - Understanding Money online learning program to hundreds of elementary schools across the Commonwealth in the coming academic year. The launch event, held at the University of Kentucky’s Craft Center, was attended by Coach Calipari, U.S. Representative Hal Rogers, U.S. Representative Ben Chandler, Kentucky First Lady Jane Beshear, Kentucky Education Commissioner Terry Holliday and UK President Eli Capilouto. Also in attendance were local bank sponsors of the initiative including Republic Bank CEO Steve Trager, Central Bank CEO Luther Deaton, Whitaker Bank CEO Elmer Whitaker, and Executive Director of the Kentucky Bankers Association Ballard Cassady. "This has been a vision that my wife Ellen and I have held for several years, and we are excited to be launching a program that will focus on teaching young children the value of saving," said Coach Calipari. "I applaud the local banks here in Kentucky who have made this possible and encourage others to join me in this endeavor. 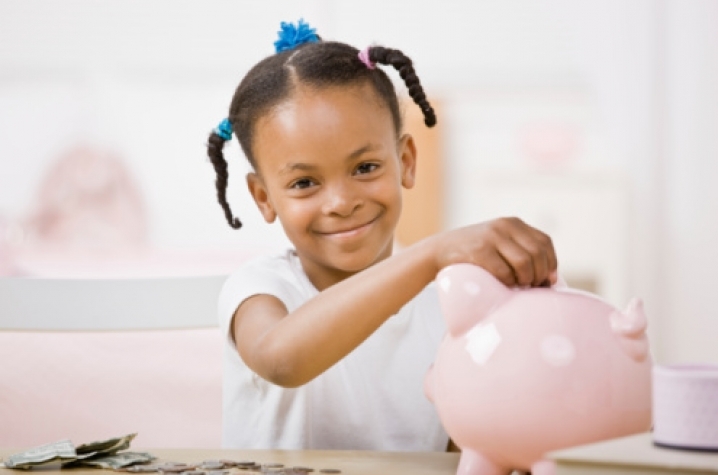 Together, we are empowering children to cultivate good financial habits that will stay with them throughout their lives." "This initiative is the true definition of a public-private partnership," said EverFi CEO Tom Davidson. "Through the amazing support of the Calipari Foundation and numerous Kentucky banks, EverFi will work with the Kentucky Department of Education to ensure elementary schools across the state have access to our cutting-edge financial literacy technology program." VaultTM - Understanding Money is EverFi’s interactive, new-media learning platform specifically designed to introduce financial literacy skills early in a child’s cognitive development. The course features interactive lessons, games, and story-based activities that challenge kids to make choices in real-life scenarios to best achieve important goals around saving, job planning, and budgeting. The 2.5-hour curriculum is designed for students in 4th through 6th grade and aligns with both state and national standards. "The significance of understanding sound financial practices is especially relevant in the volatile economic environment we live in today", said First Lady Jane Beshear. "Teaching children quality financial management skills at a young age is the best way to help them grow to be conscientious consumers and financially responsible citizens later in life. Thanks to Coach Calipari and everyone involved in this initiative in helping to implement financial literacy education in Kentucky classrooms." Kentucky Education Commissioner Terry Holliday added that financial literacy is critical to student success and in helping young people throughout their lives. "This partnership is an excellent example of how we can work together to support public schools as they prepare students for college, careers and adult lives." "The success of our country depends on how well we educate and prepare our kids," Congressman Ben Chandler said. "Poor financial decisions pushed our country into the trouble we face today, but by giving our children these critical financial skills at an early age, we can create a brighter future for the Commonwealth and our nation. It is great to see everyone — Coach Cal, UK, our community banks, and Kentucky officials — coming together to make this program a possibility for Kentucky’s kids." University of Kentucky President Eli Capilouto applauded Coach Calipari's commitment to the community and the state, saying it underscored the University of Kentucky's commitment to the Commonwealth. "Today’s announcement, by the Calipari Family Foundation, addresses a serious challenge in our state and launches a program to teach sound financial management practices to children across Kentucky," Capilouto said. 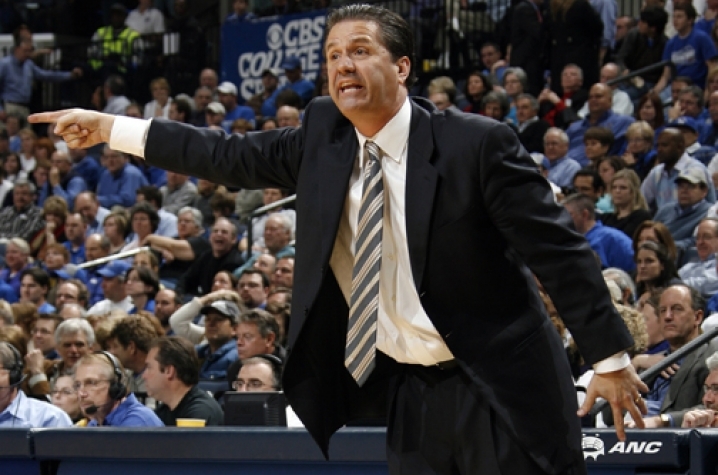 The Calipari Family Foundation for Children is dedicated to the betterment of the lives of underprivileged children in the Commonwealth of Kentucky and also in Memphis, Tenn., where the foundation was started. For more information, visit www.caliparifoundation.org. EverFi is the leading education technology platform company to teach, assess, and certify students in critical skills including Financial Literacy, Student Loan Management, Digital Literacy, and Health and Wellness, and additional product areas to be announced in 2011. The company is already powering a national movement in 50 states that enables students to learn using the latest technology, including rich media and gaming and simulation. EverFi teams work with major corporations and foundations to provide the programs at no cost to schools. Learn more at www.everfi.com.